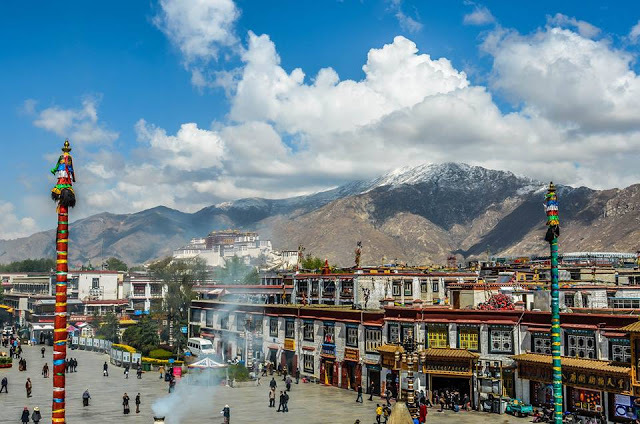 (TibetanReview.net, Feb25’16) – China is to build its highest altitude ski resort in Tibet’s capital Lhasa under its 13th Five-Year Plan (2016-20), reported the country’s official English-language newspaper China Daily Feb 24. It added that the region, being surrounded by snow-capped mountains and glaciers, had many natural advantages for developing a skiing and mountaineering industry. The report pointed out that the region had five mountains higher than 8,000 metres, more than 70 mountains higher than 7,000 metres, and no fewer than 1,000 mountains higher than 6,000 metres above mean sea level. The report cited 47-year-old Nyima Tsering, deputy director of the region’s sports bureau, as saying it was important to have a ski resort in the region’s capital to provide a stage for younger generations to learn the basics of winter sports before attempting the many natural snow-capped mountains in the area. Three-time Everest climber Nyima Tsering, who also serves as the head of the Tibet Mountaineering Guide School, has said that with an average altitude of 4,500 metres above mean sea level, “Tibet (Autonomous Region) is rich in unique natural resources for ice and snow sports.” He was reported to have spent the past 15 years honing local mountaineering expertise, turning the region into a centre of Himalayan mountaineering culture and promoting it as a paradise for outdoor sports. However, “Just as China is new to the winter sports game, Tibet also has a long way to go,” he was quoted as saying.